The Los Angeles County Sheriff’s Department has been taking an innovative approach to addressing hate crimes by combining community policing, education, and media. The S.H.A.R.E (Stop Hate and Respect Everyone) Tolerance Program is the department’s answer to rising hate crimes in the Los Angeles area. Prior to the program's inception in 2008, the department noticed an uptick in hate crime statistics, while other crime statistics remained stagnant. At the heart of the S.H.A.R.E. Tolerance Program is a custom-built mobile theater that uniformed deputies bring to schools, churches and businesses across Los Angeles County. In the trailer, deputies screen films and host discussions about this important topic. Education and dialogue are essential to the program, Chatman said, because many are unaware of what constitutes a hate crime, what their rights are, and the role police can play in making their lives safer. In their presentations, they cover all aspects of intolerance, from bullying to hate crimes. The program has proved to be very effective over the last six years, Chatman said. The discussion following the film allows people to ask questions, share experiences if they choose, and can be a healing process for some. Chatman and his deputies are often approached after the presentation by those seeking help, whether it’s a young girl contemplating suicide or a homeless youth seeking shelter for their family. Deputies arrive at these presentations with a host of resources and referrals. Though the S.H.A.R.E. Tolerance Program reaches mostly high school students, Chatman will bring his message of safety and tolerance to any age group. He’s presented at Costco, Wal-Mart and even the Department of Motor Vehicles (DMV). The DMV can be a stressful environment for employees, who may form stereotypes based on their experiences on the job, he said. 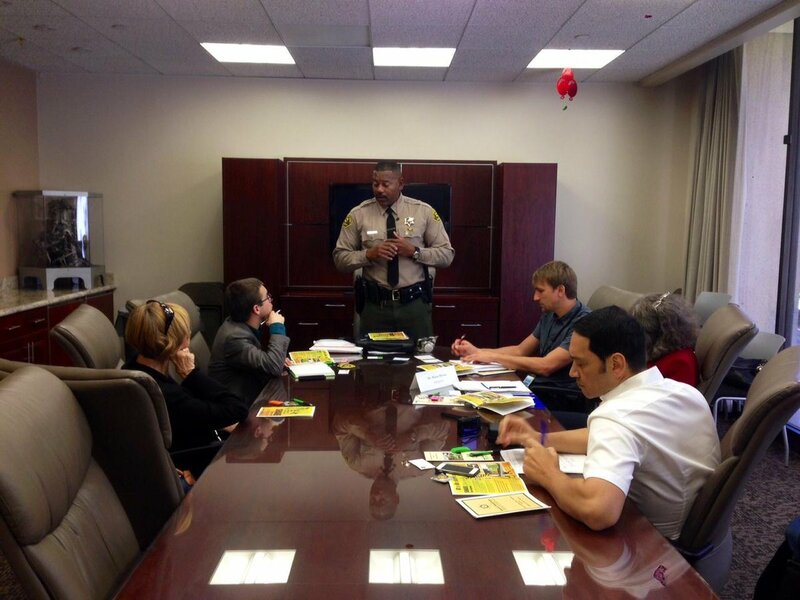 Chatman and his deputies also provide training for their law enforcement peers, including police departments in Los Angeles, San Diego and Fresno. He hopes other agencies will continue to build on the lessons the sheriff’s department has learned with the S.H.A.R.E. Tolerance Program in their home communities. The S.H.A.R.E. Tolerance Program kicked off with a single film depicting interviews with local hate crime victims. The film works well, but given the content, was only appropriate for teens and adults. The department wanted to expand its media resources, but the funding crisis left their plans at a standstill. One of Chatman’s commanders was introduced to Not In Our Town’s 100+ films about community and student responses to hate and intolerance at the recent International Association of Chiefs of Police (IACP) conference. These films range from 3 to 30 minutes and many can be streamed online and are free of charge. Chatman retires in 18 months. For the longtime volunteer coach, leading the S.H.A.R.E. Tolerance Program has been a wonderful way to connect his law enforcement and community commitments. The S.H.A.R.E. Tolerance Program welcomes inquiries from interested law enforcement agencies. Learn more and contact the program at sharetolerance.com . Find Not In Our Town films for your agency and community at NIOT.org . For specific requests of films, email our team at info@niot.org .